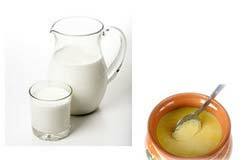 We are engaged in milling and trading of premium Pure Desi Cow Ghee. Produced out of 100% pure milk, our Pure Desi Cow Ghee is of unmatched consistency, taste and richness. Interested buyers can obtain it from us as per requirement whether bulk or retail. We guarantee our Pure Desi Cow Ghee is fresh and Pure.